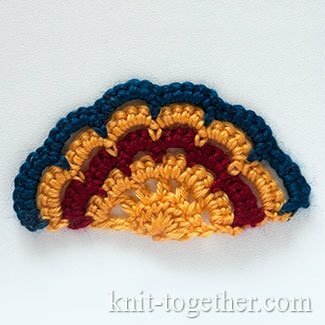 The semicircular crochet motif looks particularly impressive if crochet it of different colors. 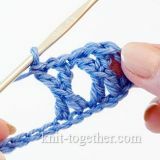 We start to crochet the motif from the centre. 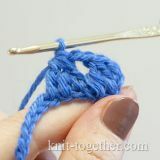 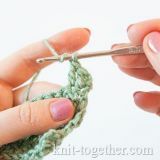 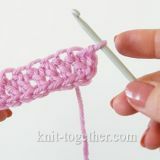 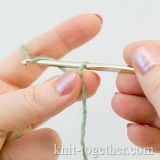 For this make a sliding loop or chain stitches with the yellow yarn. 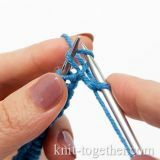 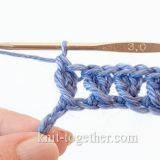 9 round (blue): 1 turning chain, 1 single crochet in first single crochet of previous row, * 6 single crochet in space of 5 chains of previous row * - repeat 6 times, 1 single crochet in last single crochet of previous row. 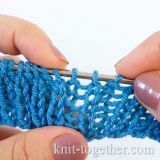 You can make this pattern any size if you will use principle: in each odd row add 1 chain in each space, and in each even row - add 1 single crochet in each space.